I just found out about this. I hope everyone will consider registering on-line to vote for Belize. 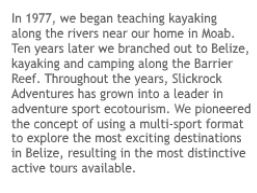 In 1991 Islands magazine did a cover story about our kayaking trip off Placencia. This was before we got our own island and moved out to Glovers Reef. You can see the full article here: http://www.slickrock.com/islands.htm. Islands magazine is now holding an online election to choose which country will land the cover of its “30 Years of Covers” anniversary issue. This is the cover that was accompanied the article about Slickrock’s sea kayaking expedition! This cover representing Belize is one of 10 island destinations in the running to be featured on the cover of this special-edition issue. To become one of the 10 finalists, the Belize cover won out over a host of other countries in a preliminary round of voting that ended last week. Now voting is in the final round, and the country with the most votes cast by Sept. 21 will grace the December issue and have the honor of representing 30 years of inspiring island travel. The other nine finalists are Aruba; St. John; Bora Bora, French Polynesia; Kauai and Maui, Hawaii; Jamaica; Puerto Rico, Turks and Caicos, and Whitsunday, Queensland, Australia. 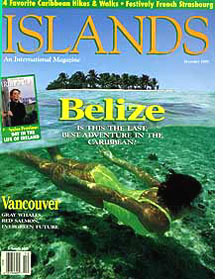 To vote, fans of Belize should go to http://www.islands.com/gallery/30-years-covers where you will be prompted to register, and then directed to the voting page. 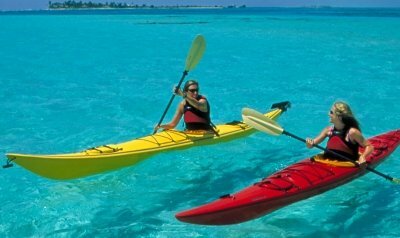 I hope belizeadventure.com readers can help get Belize on the top!